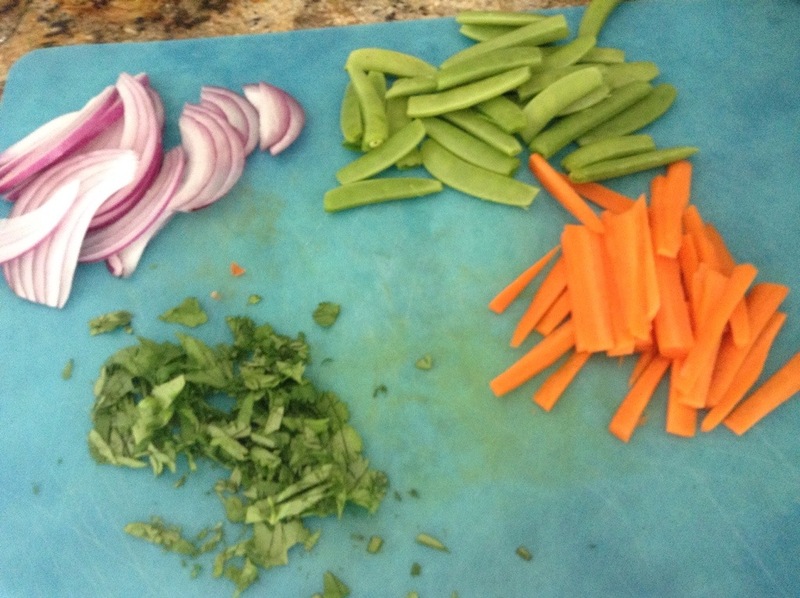 I had every intention of making Pad Thai this afternoon. I picked up some pretty veggies and cilantro at the farmers market this morning and was super excited by this. (It’s also cheese night so double excitement for food today.) What I didn’t consider was that I was almost out of soy sauce. I thought I had another bottle in the pantry, but I didn’t. To make pad thai I need four to six tablespoons of soy sauce; I had two. So rather than going out for Indian or heading down to the grocery store, I improvised. I mixed all of that together and set it aside. 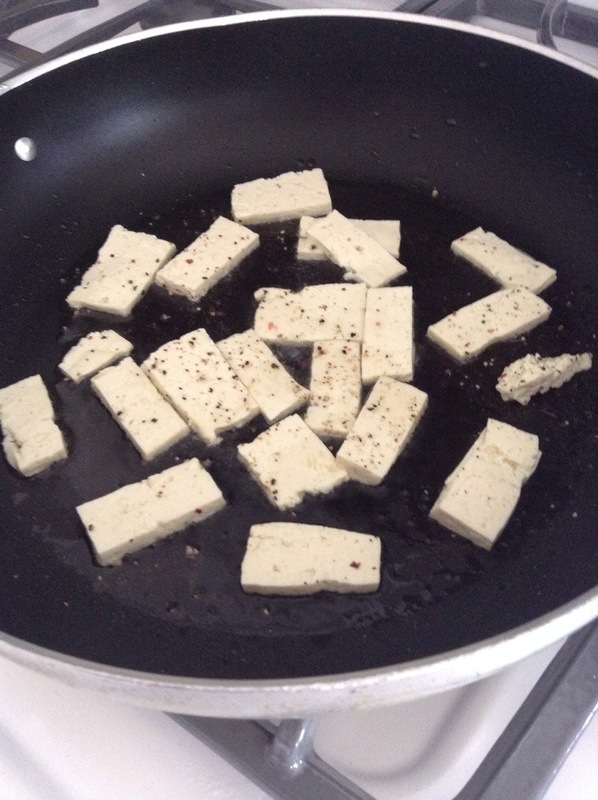 I slice up some form tofu, seasoned it with salt and pepper and pan fried it in a little peanut oil. After the tofu was done I beat one egg and quickly scrambled it so it wasn’t cooked completely and added it to the tofu. I used a little more peanut oil and added the vegetables. 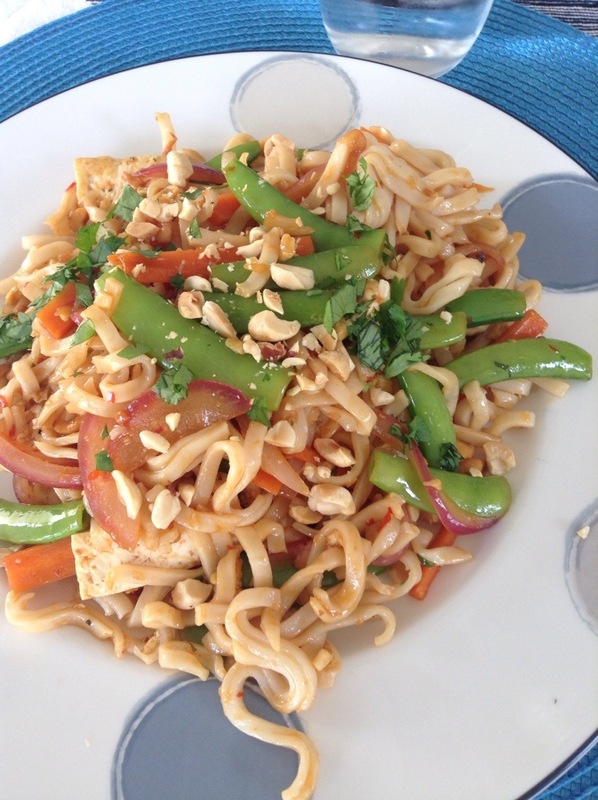 I used one tablespoon of the sauce to help season the vegetables and added some chopped peanuts and half the cilantro. To that I added the rice noodles and then half the remaining sauce. Once the noodles were coated and everything was mixed together, I added the tofu, egg and the rest of the sauce. Toss it all a little longer over medium heat then squeeze a slice of line over everything. I was a little nervous about this one. I didn’t have a recipe and was pretty much winging it. It came out really well, however. Bright flavors and enough depth of flavor to keep both Bob and I eating. I really did love this so I will chalk it up as a win.